With my already fractured heart coming to accept that Anthem probably isn’t going to be what saves Bioware, I feel I have to be honest and realise that this isn’t going to be a game worth my time, at least during its early days as a released game. With a lack of any real confirmation of their vision for this game from Bioware, in their bending over to include things that fans have been badgering them for; social spaces, romance options etc. 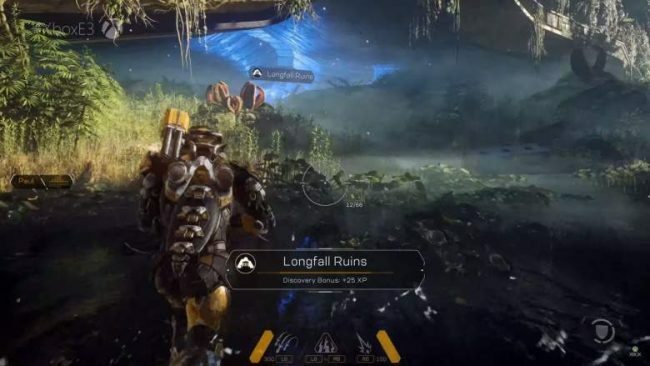 It makes me worry that Bioware themselves are really just experimenting here and have no grand defined vision for what they want Anthem to be. That, coupled with EA’s general ineptitude and anti-consumer approach to pretty much all of their marketing and pre-release treatment of this game, just makes me want to avoid this game before I even managed to try it out myself. It’s not like I’m taking the general temperature around Anthem as gospel though. I did end up trying the demo out a few weeks ago, and while my time with the game was really limited, there was nothing that hooked me in, nothing that felt like the killer quirk of the game that allowed it to stand out from the competition. The closest thing it had was it’s unique style of manoeuvrability and the open world flight aspects of the game. But even these, in practice, leave a lot to be desired. Putting them behind very limiting cool down mechanics and forcing you to shoot from ground based positions a lot of the time makes the game feel anti what we were initially promised about it. Which further compounds how unappealing the gun play ends up feeling. There is little feedback or a feeling of weight behind weapons, you might as well be spraying whipped cream over the enemies. It feels unfair to make the comparisons we inevitably need to make when it comes to these aspects of the game. But it’s impossible to talk about Anthem without talking about Destiny, without Destiny, Anthem probably never gets made. But even taking matters of game feel, gun feedback and moment to moment enjoyment off the table; how does a game like Anthem actually hope to succeed when Destiny is already so established? The loot shooter genre is growing, not just loot shooters, but shooters than have longer tails then used to be common. Continued support over time is becoming the new standard, and for that to happen, you need a strong foundation. As well as Destiny and Anthem, The Division 2 is coming out in March and Borderlands 3 is reported to be leaning into this style of game too, which is supposedly coming out later this year. By their very nature, these kinds of games are long form, they’re time consuming and have very long tails. 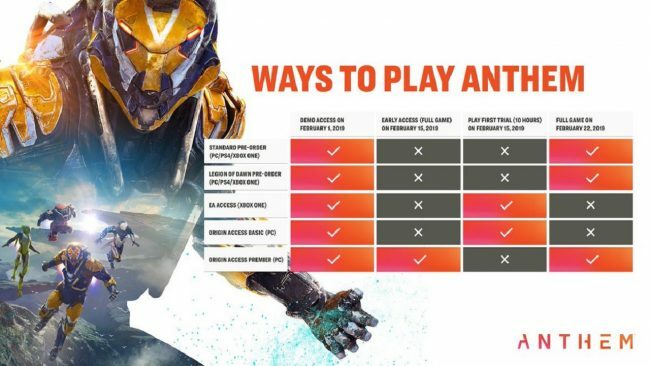 They also have existing fan bases and some amount of good will already, unlike Anthem. At a certain point, for the game to do the numbers that publishers like EA want them to do, they need to find an audience that will follow them for years. But with every new game of this kind, you end up fragmenting an existing player base more than you would finding an untapped well. Which means you need to earn the good will even more than the people who stepped into the genre before you did. You need to make a big splash right away if you want to draw people away from the like of these other game, which already have cemented their fan bases through years of prior development and experiences in other games in the series. 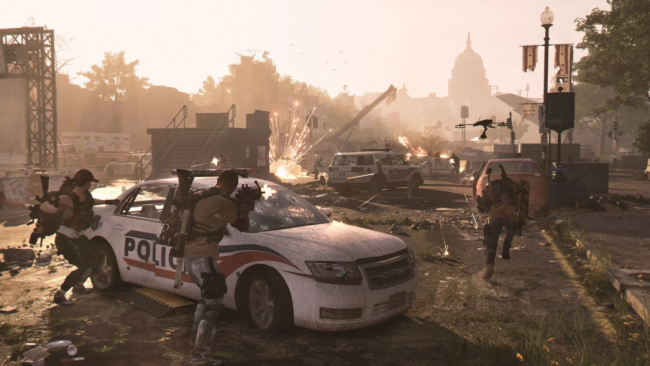 The Division 2: Unusually for me, the game with a realistic setting is far more appealing than the science fiction game. Let’s think of it as “World of Warcraft’s Law”. You take a game with a huge player base and a ton of good will already established with a fan community, like World of Warcraft circa 2010; when there were 12 million people playing it. Any other larger publisher is going to feel like they can break into this incredible market and get in on that action. So you make your own version of that game, push it hard and you do find some success and a fan base of your own. This is how you get games like Star Wars: The Old Republic, The Matrix Online, Hellgate: London and Wildstar. Game’s I’m sure at least some of you adore to this day, but ask yourself honestly, how many of those games are still being mentioned in general video games media with any where near the regularity that World of Warcraft still is. How many MMOs can you think of that came and then went in the 15 years since WoW released… There are some very clear lines for comparison that can be drawn between this example and what I’m talking about here. 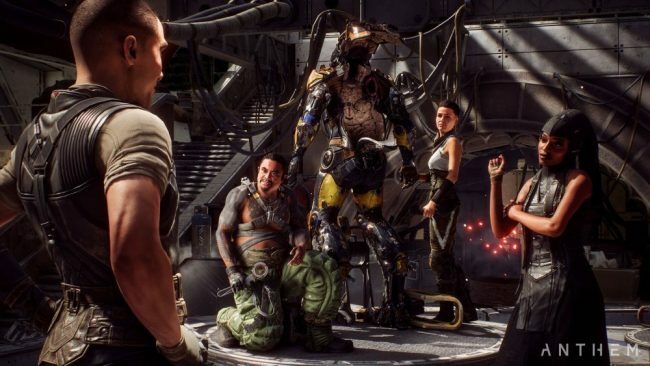 Anthem has an uphill battle from the very beginning, even before EA’s less than convincing marketing plan for it. What can the likes of Bioware possibly do in the current face of the genre. With such a task ahead of them, with so many people already already settled into “their” game and Bungie’s already stellar approach to forging community for their games outside of the games themselves. Honestly, I think that EA needs to do something totally uncharacteristic for themselves and stand by Bioware. In short, they need to give them the time it takes to get a game like this established, tuned and to really find itself. And they need to accept the inevitability that they’re going to lose some money along the way. It’s already what happened with Destiny; a game that’s had some very low lows in between its peaks of success and praise. The state of the first Destiny upon its release was kind of laughable looking back at it, and it didn’t really feel like Bungie’s vision started to become clear until a year later when The Taken King came out. 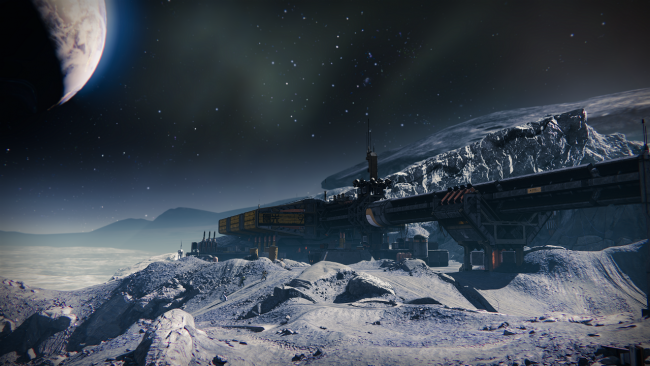 Destiny: The moon is actually one of the things I miss the most about the first Destiny. Likewise, Destiny 2’s beginning was incredibly rocky, as Bungie appeared to learn from certain mistakes while creating all new ones for themselves, and needed a year to self right themselves by the time Forsaken came out. Destiny has only become the successful and popular game it has because Bungie have been allowed to take the time and make the mistakes needed to learn from them. It could be argued that this is why Activation eventually let them go. But Bungie had a strong vision for what they wanted Destiny to be, right now I don’t feel like I can say the same for Anthem. EA are a company who are notable for shuttering storied, established and much loved development studios. I honestly don’t know if I can see them giving Bioware the support and time they probably need to figure Anthem out. Or if Bioware are even capable of turning Anthem into something the scale and popularity of Destiny, or (to draw comparison to their own history) Mass Effect. 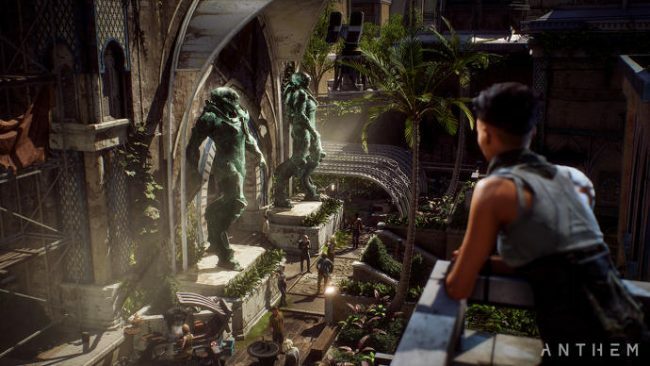 Based on what I’ve played of Anthem, as it exists right now, I have no interest in playing it, especially when I am in the throws of Destiny, which is doing the same thing, and so well. 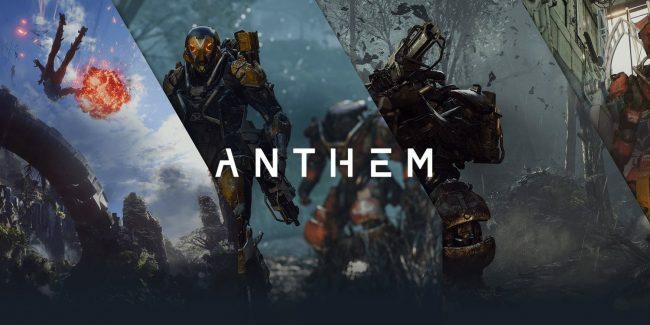 But that’s not to say I would love to see what an Anthem in 12 months time could be, once Bioware have got a dedicated team working on building, breaking down and rebuilding the game based on a large audience feedback. As to whether Anthem will exist in 12 months is another issue entirely. Posted on February 8, 2019 February 8, 2019 by WooderonPosted in Features and/or Ranting:, Video GamesTagged Anthem, bioware, bungie, destiny, ea, freelancer, loot shooter, mass effect, the division 2.